Our mission is to meet the financial needs of the individuals, families, and institutions that we serve through individualized investment advice, customized investment portfolios and personalized service. The advisor gathers financial data including the client’s goals, circumstances, resources, financial condition and risk tolerance. The adviser then prepares and delivers strategy, analysis and recommendations to the client for meeting their financial goals through the use of financial investments. Gregg Tushaus is an entrepreneur, executive, accredited investor, angel investor performing portfolio management since 1982. Along with his responsibilities for the firm, he is a registered investment advisor representative and holds Series 65 registrations. Gregg has over 30 years of investment management experience. Gregg founded and grew a profitable information technology services business to 140 employees and $32 million in sales over 18 years before selling the business in 2011. 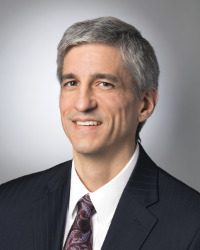 Gregg served as information technology leader and trusted adviser for a variety of businesses most notably eight years as leading and managing information technology for a $1 billion institution serving multiple missions with a $20 million information technology budget while leading and managing a $32 million information technology service business. Gregg Tushaus was Chief Information Officer of Dedicated Computing until 2016. He joined Dedicated in June, 2011 after the acquisition of his business, Tushaus Computer Services, by Dedicated. He was responsible for the company’s information technology infrastructure and service systems, managed services and provides strategic technology leadership for key Dedicated Computing clients. He is founder and former CEO of Tushaus Computer Services and formerly chief executive officer of Advance Cabling Solutions before selling the company in 1999. He founded Tushaus in 1993 and co-founded Advance in 1995. Both companies have seen exceptional growth under his leadership. Tushaus has grown to more than 140 employees with revenues exceeding $32 million. Advance grew to more than 35 employees with revenues exceeding $2.5 million in 1998. Mentor, gener8tor (2011 – present) Bright Cellars, GrocerKey, and Catalyze business and CEO mentor. All written content on this site is for information purposes only. Materials presented are believed to be from reliable sources and we make no representations as to there accuracy or completeness. All information and ideas should be discussed with your advisor prior to implementation. Links to sites endorsing a stock are not a recommendation of that stock by any member Big Cedar Investment Advisors, LLC. Fee-only investment advisory and financial planning services are offered by Big Cedar Investment Advisors, LLC, a registered investment advisory firm. This web site shall in no direct or indirect way be construed or interpreted as a solicitation to sell or offer to sell investment advisory services to any residents of any state other than the sate of Wisconsin in which Big Cedar Investment Advisors, LLC is licensed.